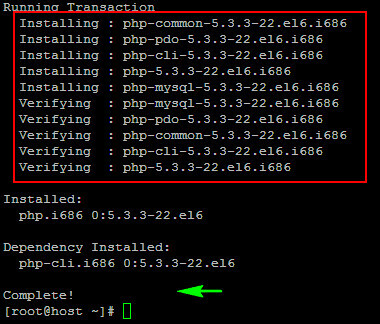 How install and setup Apache web server and PHP5 on CentOS VPS or Dedicated server. This tutorial will show you all necessary steps and most common Unix commands to install and setup Apache and PHP on a server running CentOS distro. This tutorial is part of what you have to do to install LAMP stack, a collection of open source software used to get web servers up and running so you can host all your site’s files and databases in it. LAMP is an acronym stands for Linux, Apache, MySQL and PHP. While the server is already running one of most favorite Linux distros, so the “Linux” part is taken care of while the rest are Apache, MySQL and PHP but we’ll talk about MySQL in a separate tutorial. I assumed you already have either a VPS or Dedicated server running CentOS and you have access to it. In this tutorial I use CentOS 6.3 X32. See my Playground server. Before you proceed to the next steps, it is better to explain that all commands in this tutorial are written without the “sudo” prefix. However if you disabled root login and you logged in using another username with root privilege, you can add the “sudo” prefix all by your self. Alternatively you can simply type su, hit Enter and type in your password twice to switch as root. Next it will ask you to confirm. Simply type Y and hit Enter. Again, it will tell you total file size will be downloaded and ask you to confirm it. Simply type Y and hit Enter. That’s it. Now you have Apache and PHP5 installed. 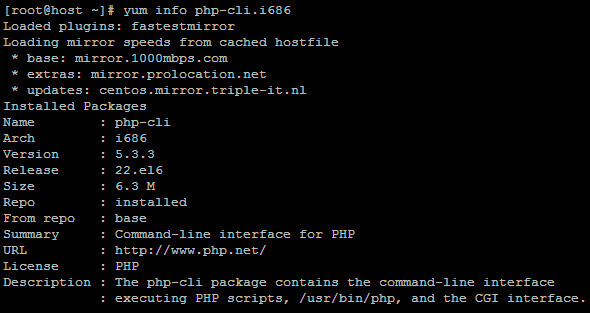 But wait, talking about PHP module, there are several most common modules available you may wish to install as well. Don’t be panic when you see “Stopping httpd: FAILED” message it is normal as that you don’t start the Apache yet. So what about another error message? If what you mean is the message that says: “httpd: Could not reliably determine the server’s fully qualified domain name, using 127.0.0.1 for ServerName”, so here’s the fix. Once done hit Control+O to save then Control+X to exit Nano editor screen. That’s it. Next time you restart Apache it will simply display the OK message. Congratulation, you’ve been succeed getting rid of “httpd: Could not reliably determine the server’s fully qualified domain name, using 127.0.0.1 for ServerName” error.